A truly amazing 5 bedroom 3 bathroom single family home located in Legacy Park. The home comes partially furnished and is in superb overall condition. With a delightful open kitchen, the home has plenty of natural lighting. The lovely master bedroom has an ensuite bathroom that includes dual sinks, a garden tub, and separate shower. All bedrooms have carpet flooring. There is one bedroom located upstairs whilst all other bedrooms are on the ground floor including the master bedroom. Let us not forget your large extended lot and private screened in pool and spa perfect for those lazy days! 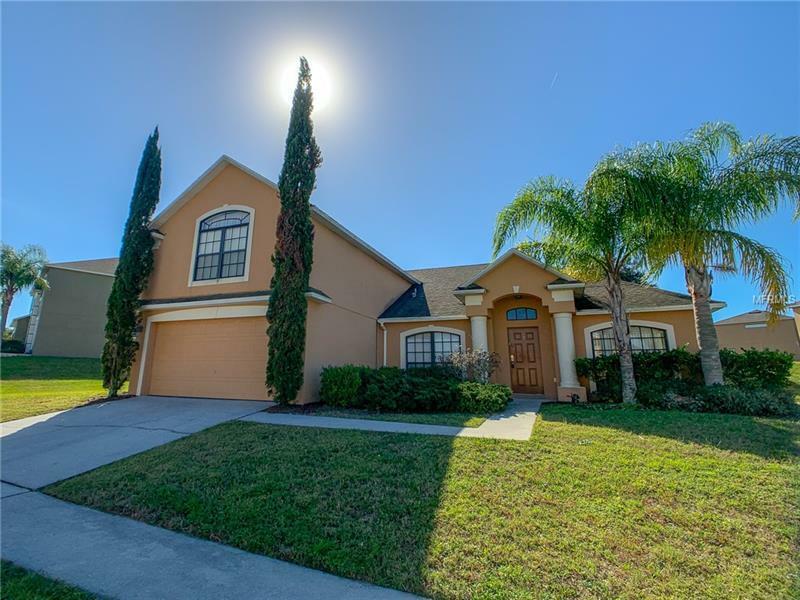 Legacy Park is a desirable and tranquil community in the ideal location minutes away from dining, shopping and some of Orlandoâs most popular theme parks. This is a perfect full residential home or short term rental. Stop by today!